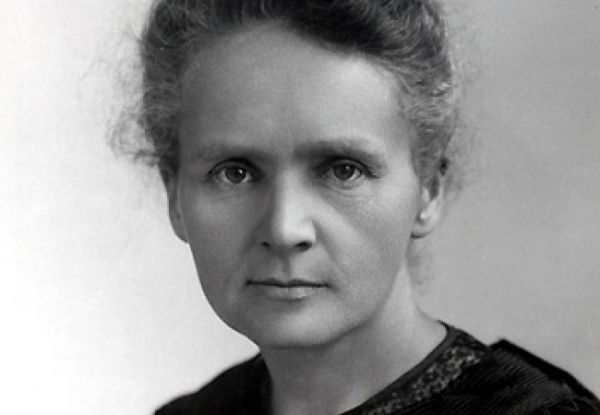 Born in 1867, Marie Curie was a famous Polish scientist. She was born in Warsaw, with both parents teachers and in a family of 5 children. Maria had one brother and 3 sisters. When she was really young she lost her sister and her mother, both of them fighting typhus and tuberculosis. For a bright child that she proved to be at school, not be allowed to go to University was a shock. The only reason to continue with her studying was with a help and money from her sister Bronia. Luckily for her, the plan went well and she started studying in Paris. Of course, she did well there and in 1893 she gained degree in Physics and one year later in Maths. In the following years she got married to Pierre Curie, they both did a researches and finally in 1902 they isolated radium. This got her two Nobel Prizes for Physics and Chemistry. I tribute Marie for everything that she has done for the mankind and for showing us women that we need to be ambitious and to fight for our rights in this man’s world. She showed the World that with persistence and a lot of work and improvement you can achieve anything you want. Marie’s work screams “Believe in yourself when no one else does.” and that is the most important lesson.